Russia has accused Poland of Russophobia and attempting to impose its own version of history after Moscow was not allowed to join an international effort to renovate a World War II museum in Poland. Moscow was invited in 2013 to participate in a joint Poland-Israel-Holland-Slovakia project to create a new memorial on the site of the infamous former Nazi Sobibor death camp. Russia expressed its willingness to play an active role in building a new memorial and museum on the site. Moscow offered a "significant financial contribution" to the project, the Russian foreign ministry said Monday, pointing out that it was a revolt led by Soviet prisoners which put an end to the horrors at Sobibor. However, further discussions on Moscow's participation in the project collapsed, the ministry said, adding, that "Warsaw dragged on the final decision under various pretences." In July, Russia was refused the right to join in the multinational project. "In terms of historic truth, we consider the decision immoral. 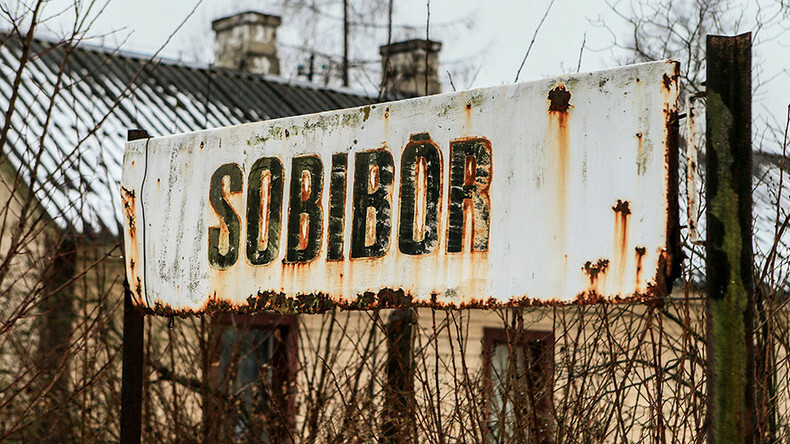 It is difficult to denounce that Russia's participation in the creation of the renewed Sobibor memorial museum [would have been] absolutely justified. Ignoring historic facts has no rational explanation and must not go unnoticed for the international community," the statement from the Russian foreign ministry said. "The intention to not let Russia join the project's participants is part of Warsaw's Russophobia, which it has been openly showing recently. The Poles also aim to impose their own version of history by belittling USSR's and the Red Army's role as liberators in World War II," it added. The Nazi Sobibor death camp operated in Poland in 1942-1943. Administered as part of a secretive Nazi plan to murder Jews, up to 250,000 Jews from Poland and other European countries, as well as from the Soviet Union were killed at the site. The camp, which used gas chambers disguised as showers, seized to exist after a prisoners revolt led by the Soviet officer Aleksandr Pechersky. "Russia is right to express frustration about being excluded from such an important project. All of the World War II death camps constitute world heritage, and they are the final death places of citizens of not only NATO countries, but also of a great number of citizens of the former Soviet Union. To exclude Russia from the commemorative, memorial museum project is an insult not just to Russia, but to the citizens of Russia who died there," political commentator John Bosnitch told RT. Suggesting that "this is not Poland's decision, but a NATO decision being imposed upon Poland, with Poland not being opposed to follow NATO's leadership on this," Bosnitch said, adding, that the move is "another form of NATO provocation against Russia." Such politics are aimed at "raising tensions and pressure, and at bringing us closer to new conflicts. This is contrary to the interests of any peace loving people in this world," he said. In late June, Poland introduced a law that bans any propaganda of totalitarian regimes, such as Soviet era rule, including any mention of names on buildings or other architectural sites. 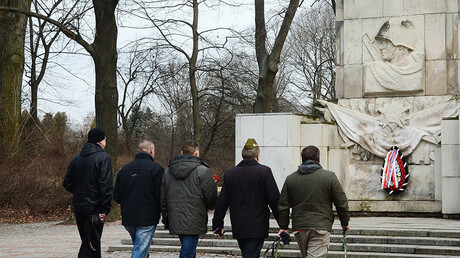 There's been fears that this could result in the destruction of memorials dedicated to the soldiers of the Red Army who died liberating Poland from the Nazis. 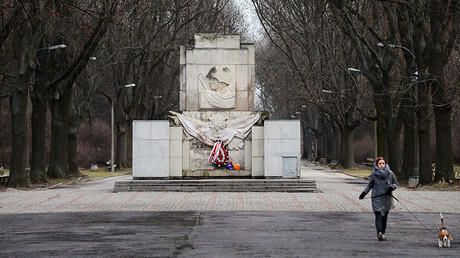 Russian officials and politicians have blasted the new legislation as an attempt to rewrite history and to disgrace the memory of Soviet troops, with the Russian foreign ministry saying that Moscow will take reciprocal measures if Poland removes monuments of the Soviet Army soldiers in line with the recently passed law.